Students love Beverly Cleary books! 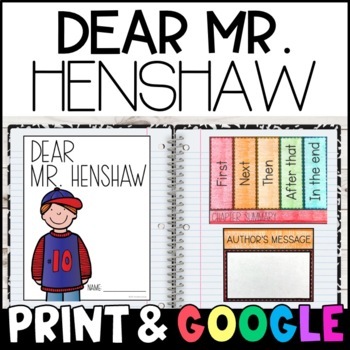 Included in this Dear Mr. Henshaw novel study are a variety of Common Core aligned reading responses for every chapter. 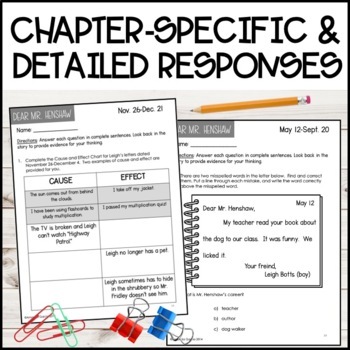 These responses check students' understanding of Dear Mr. Henshaw, as well as provide them a focus for reading. Students are required to look back in the story to support their thinking with evidence. 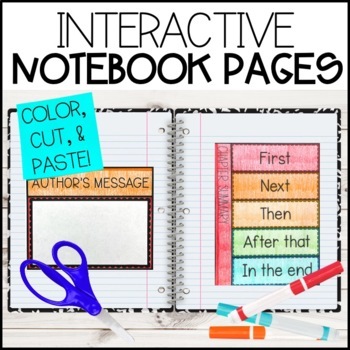 Strategy pages are included so that students can make connections, predict, and ask questions as they read. A Common Core alignment page helps the teacher track what students' are working on each day. 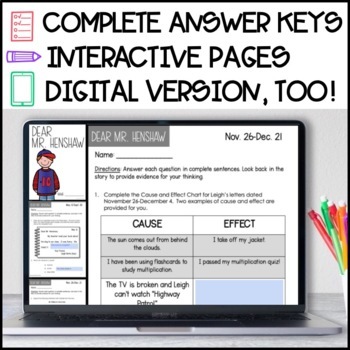 A complete answer key rounds out the unit, keeping it as simple as possible for the teacher! Click the preview for full-page samples!